Below is a list of links to the posts we’ve written that deal with RVing in the winter. We’ve compiled them together on one page for ease of access, just in case you are facing a winter in your rig. 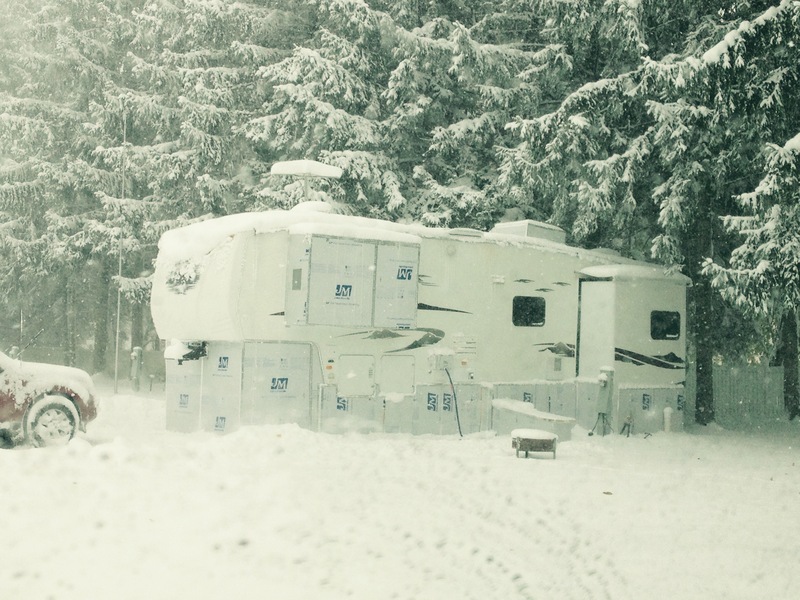 While most recreational vehicles are not intended for use in colder climates, there are several steps that can be taken to keep you warm and toasty when the snow flies. We wintered in Michigan in late 2014 through early 2015, including a weeklong stretch of temperatures that dipped to more than 20 degrees below zero! So if necessity finds you in a colder climate in your RV, take a look at the following posts for tips on what we did to stay warm. If you don’t see an answer to a question you may have, shoot us an email on the address listed on our right sidebar and we will see if we can help. Best of luck and stay positive, as Spring is just around the corner!